You always wanted to play games not only in the 3rd person perspective? To intervene with your digital environment was always one of your big wishes. 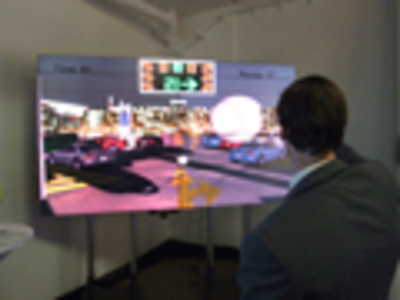 With our interactive games (based on Microsoft Kinect) we can make that your dreams come true. With the perfect motion control and 3d animation you are a part of the game. The goal of this game is to throw all cars with a few throws from the parking level.